Google will present its new smartphones in the coming months, Pixel 3 and Pixel 3 XL. If until yesterday the little information came from rumor and rumors, today instead a full-bodied leak reveals all the features of the XL model. Everything included in a video unboxing. What stands out immediately are some design features, the “notch” on all. Yes, the much criticized notch that Apple launched with iPhone X, and that almost all smartphone manufacturers have taken as an example for their devices. There are very few companies that try to keep a veil of originality, like Samsung, which the notch – at least for the moment – leaves it to others. But let’s get back to the Pixel 3 XL. As for the front, this is dominated by the display, but part of the space is occupied by the aforementioned “notch” and a slightly more evident lower frame. The camera (single lens) and the fingerprint sensor stand out from the rear shell. Once again, the body design is characterized by a double material, as you can see by looking at the upper part. Also, the 3.5mm jack port should be missing since there is an adapter is in the package. 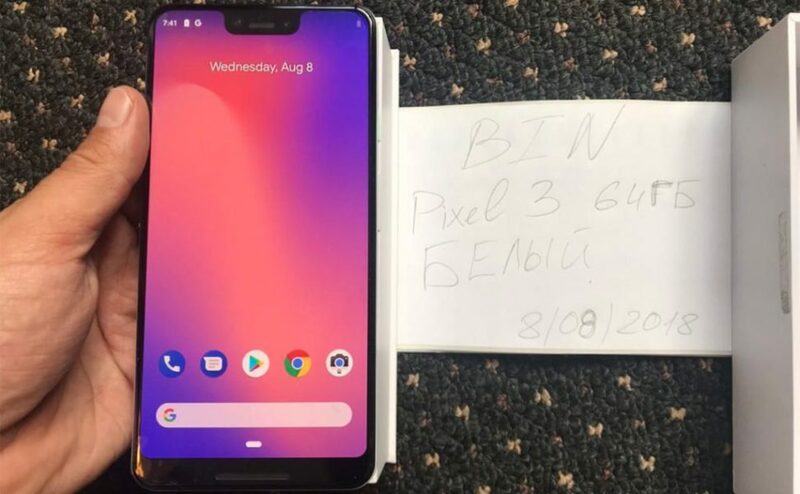 As for the other features, the Pixel 3 XL in question running Android Pie 9.0, has an octa-core processor produced by Qualcomm (perhaps Snapdragon 845), 4GB of RAM, an Adreno 630 GPU and a display with 1440 x 2960 resolution (494ppi).